In collaboration with Alfred Basbous Foundation, Mark Hachem Gallery is holding the “Alfred Basbous Bronze Collection” exhibition highlighting the acclaimed Lebanese master, Alfred Basbous. This exhibition will present Basbous’ majestic art works and never-before-seen preparatory sketches, whose charcoal lines help to understand how the artist gave life to his sculpted forms. It will represent the chance to gather the art enthusiasts from art lovers, collectors, journalists, tourists to art experts around the magnificent sculptures of the Lebanese artist. The Alfred Basbous Foundation, established by the artist in 2004, devotes all its resources to honor Basbous tradition through exhibitions worldwide to celebrate his inspiring talent. 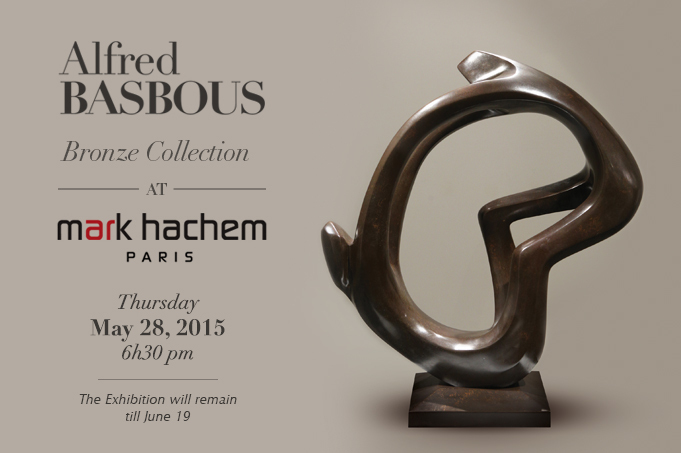 After the successful exhibition in Mark Hachem Gallery in Beirut in February 2015, the Paris art gallery is pleased to host Basbous Bronze Collection. The Alfred Basbous Foundation and Mark Hachem Gallery collaboration glorifies the artist’s imprint to modern art beyond frontiers.